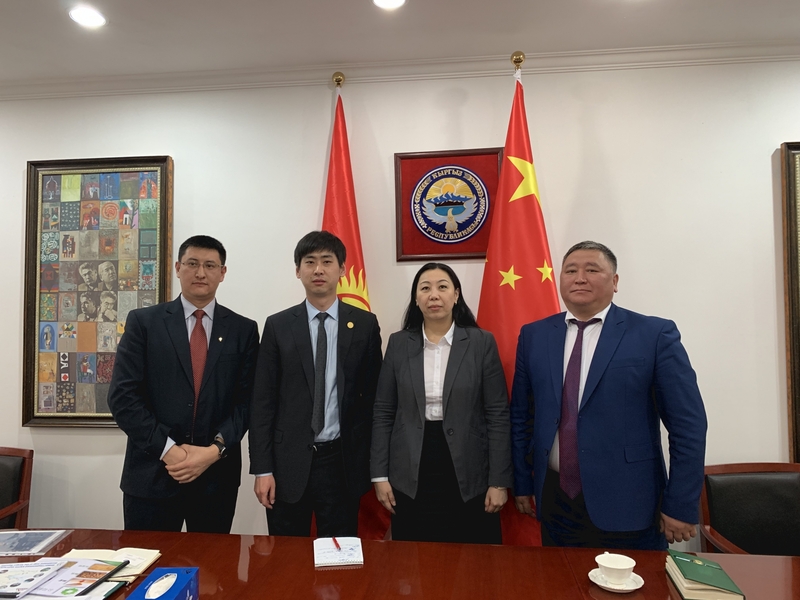 On March 1, 2019, Wang Yan, SRCIC Deputy Secretary General and Chief Representative of Office in Beijing called on H.E Ms. Kanayim Baktygulova, Kyrgyz Ambassador to China, Kolkhozhoev Kubanych, Chairman of Investment Attraction Committee of Kyrgyzstan Chamber of Commerce and Industry and Ernisbekov Azamat, Vice Chairman of Investment Attraction Committee of Kyrgyzstan Chamber of Commerce and Industry. 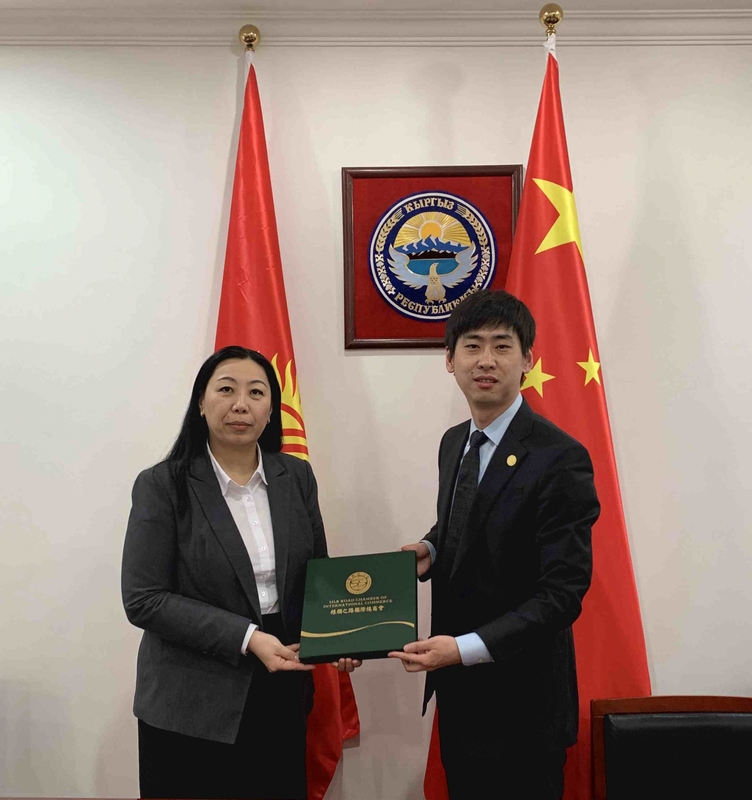 The tripartite sides discussed the future cooperation in facilitating Kyrgyz investment in China, advancing implementation of Kyrgyz project, and promoting Traditional Chinese Medicine in overseas countries. Additionally, they exchanged views on trade, cultural exchanges and potential cooperation between China and Kyrgyzstan.